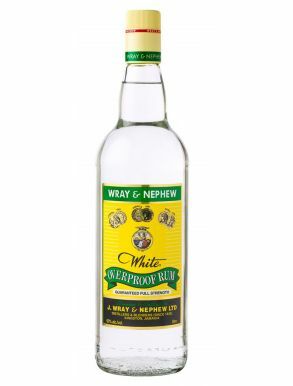 Wray and Nephew white rum is the best selling high proof room in the world. A true Jamaican legend that embodies the Jamaican culture and different social aspects of people and traditions, Wray & Nephew is part of Jamaica's everyday life as much as the sun. This rum is a blend of rum from the Wray & Nephew's estate. It has a clear and shiny colour and a fruity aroma with molasses tone. It gives the special touch to cocktails and it is a primary ingredient in Jamaican punch.